Ph.D. in International Comparative Education. Stanford University, USA. M.A. in International Comparative Education. Stanford University, USA. MBA/Diplome Grande Ecole, Hautes Etudes Commerciales, France. CEMS, Community of European Management Schools Diploma, European Union. Bachelor of Social Science, University of Hong Kong, Hong Kong. I am a happy mother of two children and love dance, jazz, film, modern art, fiction, and travels. Standard Research Grant, Social Science and humanitites Research Council CAD 88,928. Hampton Research Fund, CAD 23,702. Abe Fellowship, Social Science Research Council, US $75, 185. Advanced Research Fellowship, Program on US-Japan Relations, Weatherhead Center for international Affairs, Harvard University, US $40,000. Humanities and Social Sciences large Grant, University of British Columbia CAD 6,760. Canadian Institutes of Helath Research (themes 384: Population Health and Health Services & Systems Research), CAD 2,700. Humanities and Social Sciences Bridge Grant, University of British Columbia, CAD 2,000. Institute for European Studies, University of British Columbia, CAD 1,000. Jennifer Chan. 2015. Politics in the Corridor of Dying: AIDS Activism and Global Health Governance. Johns Hopkins University Press. Jennifer Chan. 2008, ed., Another Japan is Possible: New Social Movements and Global Citizenship Education. Palo Alto: Stanford University Press. Jennifer Chan-Tiberghien. 2004. Gender and Human Rights Politics in Japan: Global Norms and Domestic Networks. Palo Alto: Stanford University Press. Jennifer Chan. 2007. “Le Mouvement Pacifiste Japonais Depuis les Années 1990.” Critique Internationale. Vol. 36, pp. 51-69. Jennifer Chan. 2006. “Between Efficiency, Capability and Recognition: Competing Epistemes in Global Governance”. Comparative Education. Vol. 43 (3), pp. 359-376. Jennifer Chan. 2006. “Cultural Diversity as Resistance to Neoliberal Globalization: The Emergence of a Global Movement and Convention”. International Review of Education. Vol. 52 (1-2), pp. 93 – 110. Jennifer Chan-Tiberghien. 2005. “La participation féministe au mouvement altermondialiste: une critique de l’Orgaanisation mondiale du commerce”. Recherches Féministes. Vol. 17 (1), pp. 195-225. Jennifer Chan-Tiberghien. 2004. “Gender-Skepticism or Gender-Boom: Poststructural Feminisms, Transnational Feminisms, and the World Conference against Racism”. International Feminist Journal of Politics. Vol. 6 (3), pp. 454 – 484. Jennifer Chan-Tiberghien. 2004. “Towards a “Global Educational Justice” Research Paradigm: Cognitive Justice, Decolonizing Methodologies and Critical Pedagogy”. Globalisation, Societies and Education. Vol. 2 (2), pp. 191 – 213. Jennifer Chan. 2018. “Majestic Inequality: Deconstructing the Canadian Employment Equity Straw Man.” In An Interrogation of Models of Diversity in a Multicultural Environment ed., Michael Tonderai Kariwo, Neda Asadi, and Chouaib EL Bouhali. Submitted. Jennifer Chan. 2018. “External Influences of NGOs and Non-State Actors.” In The SAGE Handbook of Asian Foreign Policy, ed., Takashi Inoguchi. Sage Publications. Submitted. Jennifer Chan. 2017. “Human Rights.” In Handbook on Civil Society in Asia, ed., Akihiro Ogawa. New York and London: Routledge. Jennifer Chan. 2016. “Gender and Antiwar Activism in Japan.” In Handbook on Gender and War, ed., Simona Sharona, Julia Welland, Linda Steiner, and Jennifer Mathers. Northhampton, MA: Edward Elgar Publishing. Jennifer Chan. 2013. “War Crimes Movements in Japan.” In The Wiley-Blackwell Encyclopedia of Social and Political Movements, edited by David A. Snow, Donatella Della Porta, Bert Klandermans, and Doug McAdam. Maiden, MA: Blackwell Publishing. Jennifer Chan. 2012. “Gar Nar Dai Doe Heem/Canada Apologizes: Redress and a Pedagogy of Accountability.” In Precarious International Multicultural Education: Hegemony, Dissent and Rising Alternatives, edited by Handel Wright, H.K., Singh, M. & Race, R. Rotterdam: Sense Publishers. Jennifer Chan. 2012. “UNESCO versus the World Trade Organization? When Cultural Diversity Trumps Free Trade.” In Leadership in Global Institution Building: Minerva’s Rule, edited by Yves Tiberghien. Palgrave Macmillan Press. Jennifer Chan. 2011. “Civil Society and Global Citizenship in Japan.” In Japanese Politics Today, edited by Takahashi Inoguchi and Purnendra Jain. New York: Palgrave Macmillan Press. Jennifer Chan. 2010. “Academic Capitalism in Japan: National University Incorporation and Special Zones for Structural Reform.” In The Politics of Education Reforms, edited by Joseph Zajda, Geo-JaJa, and A. Macleans A. New York: Springer. Jennifer Chan. 2008. “The Alternative Globalization Movement, Social Justice and Education” in William Ayers, Therese Quinn and David Stovall, eds., The Handbook of Social Justice in Education. London and New York: Routledge, pp. 553-563. Jennifer Chan. 2006. “Cultural Diversity as Resistance to Neoliberal Globalization: The Emergence of a Global Movement and Convention” in Joseph Zajda, ed., Education and Social Justice, pp. 79-95. New York: Springer. Jennifer Chan. 2005. “Situer la société civile au Japon” in Jean-François Sabouret, ed., La Dynamique du Japon, pp. 111-121. Paris: Saint Simon. Jennifer Chan-Tiberghien. 2004. “Gender as Intersectionality: Multiple Discrimination against Minority Women in Japan” in M. Nakamura and P. Potter, eds., Comparative International Studies of Social Cohesion and Globalization in Asia: Japan, pp. 158-181. New York: Palgrave Macmillan Press. Jennifer Chan-Tiberghien. 2003. “The Rise of a Women’s Human Rights Epistemic Network in the 1990s: Global Norms, Gender Politics and Civil Society” in Errol Mendes, ed., “Bridging the Global Divide on Human Rights: a Canada-China Dialogue”, pp. 195-219. Burlington, Vermont: Ashgate Publishing. Francisco Ramirez and Jennifer Chan-Tiberghien. 2003. “Globalization and Education in Asia” with Francisco Ramirez in The Handbook on Educational Research in the Asia Pacific Region, pp. 1091 – 1102. Norwell, MA: Kluwers Academic Publishers. Jennifer Chan. 2017. Getting to Zero: Creating an Enabling Legal and Policy Environment to End HIV/AIDS in Belize. HIV and AIDS Legal Assessment Report prepared for the National AIDS Commission and UNDP Belize. HIV/AIDS, Human Rights and National Development in Jamaica. HIV and AIDS Legal Assessment Report prepared for UNDP Jamaica, with the support of the International Legal Resource Center of the American Bar Association. 2017. “Human Rights”. Civil Society in Asia Conference. University of Melbourne, Australia. Feb 2-3. 2016. “This Earth Which is Not One: Border Policing in the Climate Movement.” Americal Sociological Association Annual Meeting, Seattle, Aug 18-23. 2016. “Too Poor to Treat: What Global AIDS Activism Taught Us About Rights and Life.” University of Hong Kong, Department of Sociology, Mar 3. 2015 “Cultivating Relationships, Shaping the Future Together.” National Victims of Crime Awareness Week, RCMP Coquitlam Victim Services Unit, Coquitlam City Hall, April 23. 2015 “Impossibility of Speaking Race.” Launch event: New Year, New Beginnings: Rekindling Colour Connected Against Racism. UBC. January 27. 2015 “Living with Difference: Beyond Liberalism and Communitarianism.” Institute for Asian Research, Asia Pacific Forum: Charlie Hebdo and Freedom Of Speech In The Asia Pacific. UBC. January 21. 2013 “Against Market and the Intellectual Propertization of Life: Access to Essential Medicines in Thailand, China, India, Brazil, and South Africa.” Conference: Public Health Policy in Asia: Rights, Risks, Redistribution and Resilience. UBC Faculty of Law and Institute of Asian Research. December 6-7. 2013 “Politics in the Corridor of Dying: AIDS Activism and Global Health Governance.” UBC, Interdisciplinary Studies Gradute Program. October 16. 2013 “Politics in the Corridor of Dying: AIDS Activism and Global Health Governance.” UBC, College of Health Disciplines. June 12. 2012 “The Long Road to Equity.” Happy Too Asian: Celebrating Activism Against Racism in the Media. W2 Media Café, Vancouver. November 12. 2011 “La participation feministe dans la politique international.” Invited panelist, Table Rond, Réseau-Femmes Colombie- Britannique, Vancouver. January 18. 2010 “Global Governance Reforms: Some Theoretical and Methodological Explorations”. Invited lecture for faculty and postdoctoral fellows, Department of Human Geography, Planning & International Development Studies, University of Amsterdam. February 4, 2010. 2010 “The Emergence of a Right to Health Regime: Transnational Advocacy and Global Health Governance Reforms”. Seminar on Civil Society Advocacy and Education for All: Strategies, Outcomes and Future Challenges. February 4, 2010. University of Amsterdam. 2010 “Making UBC Work for Women Faculty.” UBC Faculty Association. Liu Center for the Study of Global Issues, January 14. 2009 “University Crisis in Japan and France: Globalization, Restructuring and Academic Capitalism.” CHET seminar, UBC. November 26. “Beyond the Millenium Development Goals? Comparing Education for All and Health for All Movements”. Panelist, Comparative and International Education Annual Conference. Montreal. May 1, 2011. “Glocal Islam: Muslim nongovernmental organizations and Multicultural Japan”. Panelist, Japanese Association of Asian Studies, Hilton Hawaiian Villages. April 2. “Global Muslim Networks? Islamic Nongovernmental Organizations in Japan”. Panelist, Japanese Studies Association of Canada Annual Conference, University of British Columbia. October 1. “Transnational Advocacy Networks and Global Health Governance Reforms: the Case of HIV/AIDS.” Panelist, Canadian Society for International Health, Ottawa, Oct 25-28. “Gar Nar Dai Doe Heem/Canada Apologizes: Redress and a Pedagogy of Accountability.” Panelist, Canadian Asian Studies Association Annual Meeting, University of British Columbia, October 8-11. “Constructing Modern French Universities: Globalization, the European Union, and Academic Restructuring”. Organizer and Presenter at the panel on “Global Governance and Citizenship: The Role of Multilateral Organizations in Educational Change” at the Comparative and International Education Society Annual Conference, Columbia University, New York, March 17 2008. “The Global Market and University Restructuring: The Cases of Japan and France”. Organizer for the panel on “Comparative Academic Capitalism: Marketization Higher Education Reforms and Social Contract” at the Comparative and International Education Society Annual Conference, Baltimore, Maryland. February 25-March 1. “Academic Capitalism in Japan: National University Incorporation and Special Zones for Structural Reform”. Organizer and Presenter at the panel on “University Reforms in Japan” at the Japan Studies Association of Canada Annual Conference, “Japan at our Doorstep and in the Changing Global Community”, Thompson Rivers University, Kamloops, British Columbia, Canada. October 12-15. “Towards a Global Convention on Cultural Diversity: Voices from Minority Women in Japan” and “the Decolonization of Imagination: Claims for Cognitive Justice by Peasant Communities, Migrant Workers and Ethnic Women Students in the Context of Globalization”. Panel organizer and Presenter at the Women’s Worlds 2005: 9th Interdisciplinary Congress on Women, Seoul, Korea. June 19-24. “Re-Narrating Educational Multilateralism: Cultural Difference in Global Governance”. Presenter at the panel on “Educational as International Relations: National Interest, Global Empire or Global Governance” at the American Educational Research Association annual meeting “Demography and Democracy in the Era of Accountability”, Montreal, Canada. April 11-15. “Constructing Global Citizenship: Japanese Social Movements, Grassroots Education and Alternative Globalization”. Presenter at the panel on “Culture and Pro-Democracy Movements in Asia” at the Association for Asian Studies annual meeting, Chicago. March 27-30. “Between Efficiency, Capability and Recognition: Competing Epistemes in Global Governance”. Presenter at the panel on “Global Governance and Educatinal Change” at the Comparative International Education Society annual meeting, “Beyond Dichotomies”, Stanford University. March 21-26. “Cultural Diversity as Resistance to Neoliberal Globalization: The Emergence of a Global Movement and Convention”. Panel Organizer and Presenter, “Globalization from Below: The Role of Transnational Social Movements in Redefining Educational Multilateralism” at the 12th World Congress of Comparative Education Societies, Havana, Cuba. October 25-29. “Globalization, Resistance and Critical Pedagogy.” Conference proceedings of the 2004 joint annual conference of Canadian Association for the Study of Adult Education and Adult Education Research Conference on “Adult Education for Democracy, Social Justice, and Peace”, University of Victoria, British Columbia. Roundtable Organizer and Presenter. May 29. “Flexible Republicanism: Unveiling the French Racial State in its Law to Ban Religious Signs in Public Schools”. University of British Columbia, Department of Educational Studies Research Day. April 15. “Gender-Skepticism or Gender-Boom: Poststructural Feminisms, Transnational Feminisms, and the World Conference against Racism.” Panel Organizer and Presenter, “Speaking Back: What Transnational Feminism has to Offer to Poststructural Feminism?” at the International Studies Association Annual Convention, Portland, Oregon. March 29-April 3. “Redefining Children’s Human Rights as Japanese State Interests.” Presented in the Nongovernmental Organization Workshop organized by International Movement against All Forms of Discrimination and Racism at the Second World Congress against Commercial Sexual Exploitation of Children, Yokohama. December 17-20. “The Rise of a Women’s Human Rights Epistemic Network in the 1990s: Global Norms, Gender Politics, and Civil Society.” Presented at the Canada-China Conference on International Human Rights, jointly organized by the Human Rights Research and Education Center at the University of Ottawa and Beijing University Law School, Beijing. September 20. “Socializing States in the World Community: The Teaching of International Human Rights Norms by Nongovernmental Organizations”. Presented at the “Global Resonance and Resistance: Affirmative Alternatives for Educational Policy, Practice, and Transformation”, Comparative and International Education Society, Washington DC. April 15. “Creating a Gender-Equal Society in Japan: The Interaction between Women’s Studies, Governmental Reforms, and Nongovernmental Organizations”. Presented at the “Women’s Studies: Asian Connections”, Center for Research in Women’s Studies and Gender Relations, University of British Columbia. November 2-5. “Daring To Talk: Nongovernmental Organizations and the Diffusion of Norms on Violence against Women in Japan”. Presented at the “2000 Subversions: Women’s Studies and the Twenty-First Century”, National Women’s Studies Association, Simmons College, Boston. May 15. “Embedded State: Global Norms Redefining the Status of Women in Japan. Presented at the “New Rights For a New Millennium? A Graduate Conference on New Scholarship in International Human Rights”, Center for International Studies and Cooperation, Stanford University. March 13. “The Power of Unarmed Prophets: Nongovernmental Organizations as Carriers of Human Rights Education”. Presented at the “Dance on the Edge”, Comparative and International Education Society Western Region Conference, University of British Columbia. May 10. “Carrying World Culture: Human Rights Education as a Global Project”. Presented at the “Education, Democracy and Development at the Turn of the Century”, Comparative and International Education Society Western Region Conference, Mexico City. March 11. Jennifer Chan. 2011. “Women’s Movements in Asia: Feminisms and Transnational Activism.” Pacific Affairs. Volume 84, No. 2. Jennifer Chan. 2010. “Making Japanese Citizens – Civil Society and the Mythology of the Shimin in Postwar Japan.” Japanese Journal of Political Science. Jennifer Chan. 2010. “WTO/GATS and the Global Politics of Higher Education.” Globalisation, Societies and Education. Vol. 8, No. 4, pp. 539-540. Jennifer Chan. 2010. “Lily in the Snow.” Ricepaper magazine. Issue 15.3, Fall, pp. 47-48. Jennifer Chan. 2010. “Another Kind of Luxury: Japanese Lessons in Simple Living and Inner Abundance.” Kyoto Journal, 75, pp. 105-6. Jennifer Chan. 2007. Tastes of Exile and Home in Brandy Lien Worrall, ed. Eating Stories: A Chinese Canadian & Aboriginal Potluck. Vancouver, BC: Chinese Canadian Historical Society of BC. Jennifer Chan. 2007. Workshop and Law by Nyata Nyata. Dance Central (Scotiabank Dance Centre newsletter), May/June, p. 4. Jennifer Chan. 2007. Producer/Director. Day of Shame. Outstanding Achievement in Film, Eyelens Film Festival, Vancouver. Film screened at the Gulf Island Film and Television School, Galiano Island, BC. June 15th. Jennifer Chan. 2007. Producer/Director. Last Tango in Paris. Film screened at the Gulf Island Film and Television School, Galiano Island, BC. June 15th. Jennifer Chan. 2007. Producer/Director. Melody of Flute. Film screened at the Gulf Island Film and Television School, Galiano Island, BC. June 15th. Jennifer Chan. 2007. Co- Producer/Director. Soul on Fire. Film screened at the Gulf Island Film and Television School, Galiano Island, BC. June 15th. Jennifer Chan. 2007. Riotous Displays: Celebrating Diversity and Peace. Collaborative artwork for Exquisite Crisis: Encounter Z, organized by Yong Soon Min and presented by Asian/Pacific/American Institute at New York University, February 15-May 31. 2008 OUTSTANDING ACHIEVEMENT IN FILM, Producer/Director. 2007. Day of Shame. Eyelens Festival, Vancouver, Canada. 2005-6 ABE FELLOWSHIP, Social Science Research Council, USA. 2004 ADVANCED RESEARCH FELLOWSHIP, Program on US-Japan Relations, Weatherhead Center for International Affairs, Harvard University. 2003 GAIL P. KELLY AWARD FOR OUSTANDING DISSERTATION, Comparative and International Education Studies Society. 2000-2001 DISSERTATION FELLOWSHIP, Institute of Research on Gender and Women, Stanford University. 1999-2001 DISSERTATION FELLOWSHIPS in Japanese Studies, Institute of International Studies, Stanford University. 1999 SPENCER RESEARCH TRAINING GRANT, Stanford University School of Education. 1997-1999 BEGINNING DOCTORAL STUDENT AWARD, Stanford University School of Education. 1996-1997 ALICE MOORE FELLOWSHIP, Stanford University School of Education. 1988-1990 SCHOLARSHIP, French Government for studies at HEC MBA program. 1986 BEST DEBATOR AWARD, Political Science Inter-Varsity Debate, Hong Kong. Prabhsharanbir Singh, PhD Candidate. Cross-Faculty Inquiry In Education. Sandra Wan, Graduate Certificate in Adult Learning and Education. Hayden Liao, M.Ed Student. Society, Culture & Politics in Education. Kathy Martin, MEd student. 2010. Wendy Royal. PhD in Curriculum Studies. 2013. Hanah Marie Spector, PhD in Curriculum Studies. Graduated in 2013. Hui-Ling Li, PhD in Women’s and Gender Studies. Graduated in 2011. Takemasa Ando, PhD in Asia and Pacific Studies, Australia National University. Graduated in 2010. Mosope, PHD in Law, UBC. Graduated in 2010. Wendy Royal, PhD in Language and Literacy, UBC. Graduated in 2009. Peter Hsu, EdD in Educational Leaderhip and Policy, UBC. Graduated in 2007. Jack Lee, MEd in Adult Education, UBC. Graduated in 2007. Mee Lain Ling, MA in Adult Education, UBC. Graduated in 2004. Reyla Lopez, MA in Educational Studies, UBC. Graduated in 2004. Chantal Poux, MA in Asian Studies, UBC. Graduated in 2004. Currently a PhD student at the Universite de Quebec à Montreal. Lisa Okada, MEd in Adult Education, UBC. Graduated in 2004. Charito Gailing, MEd in Adult Education. Graduated in 2004. MEMBER, Women’s Committee, Canadian Association of University Teachers. STEERING COMMITTEE MEMBER, Centre for Cultural, Identity and Education, UBC. RESEARCH ASSOCIATE, Canadian Centre for Policy Alternatives. BOARD MEMBER, Chinese Canadian Historical Society. 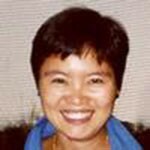 FACULTY ADVISORY COMMITTEE MEMBER, UBC Initiative for Student Teaching and Research in Chinese Canadian studies. ADULT EDUCATION DIPLOMA PROGRAM COORDINATOR, UBC. SELECTION COMMITTEE MEMBER. US-Japan Program Advanced Research Fellowship. Harvard University. Social Sciences and Humanities Research Council of Canada Standard Research Grants. National Science Foundation research grants. Japan Foundation Center for Global Partnership research grants. DISCUSSANT, Remaking Transnationalism: Japan, Foreign Aid, and the Search for Global Solutions, Abe Fellowship Program, Center for Global Partnership-Social Science Research Center Seminar Series. Watson Institute for International Studies, Brown University. GUEST LECTURER on “Gender and Human Rights Politics in Japan”, Poli322, Japanese Government and Politics. University of British Columbia. DISCUSSANT, “International Workshop on University Reform in Six Countries,” organized by the Center for Higher Education Policy, University of British Columbia. INTERNATIONAL SCHOLARS COMMITTEE MEMBER, Department of Educational Studies, University of British Columbia. PHD MANAGEMENT AND ADMISSIONS COMMITTEE MEMBER, Department of Educational Studies, University of British Columbia. VOLUNTEER TRANSLATOR, Japan Civil Liberties Union. International Journal of Lifelong Education.